Jessica Hughes is a Lecturer in Classical Studies at The Open University. She works on material religion, classical reception studies and the cultural history of the Italian region of Campania. She has recently published the monograph Votive Body Parts in Greek and Roman Religion (Cambridge University Press, 2017) and is currently researching material religion and cultural memory at the Catholic Shrine of the Blessed Virgin of the Rosary in Pompeii. Sensual Religion demonstrates the value of paying attention to the senses and materials in lived religion and also leads the way for improved studies of religion as sensuality. Each of the five senses – vision, hearing, taste, touch and smell – will be covered by two chapters, the first historical and the second contemporary. The historical discussions focus on the sensuality of religion in ancient Greece, Samaria, Rome and Byzantium — including reflections on their value for understanding other historical and contemporary contexts. Chapters with a contemporary focus engage with Chinese, African-Brazilian, Sikh, First Nations and Métis, and Spanish Catholic religious lives and activities. Beyond the rich case studies, each chapter offers perspectives and arguments about better ways of approaching lived, material and performative religion — or sensual religion. Historical and ethnographic critical and methodological expertise is presented in ways that will inspire and enable readers to apply, refine and improve on their practice of the study of religions. In particular, our intention is to foreground the senses and sensuality as a critical issue in understanding religion and to radically improve multi- and inter-disciplinary research and teaching about the lived realities of religious people in this sensual world. 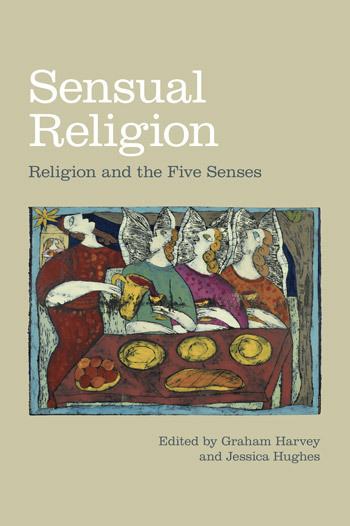 Sensual Religion demonstrates the value of paying attention to the senses and materials in lived religion and also leads the way for improved studies of religion as sensuality. Each of the five senses – vision, hearing, taste, touch and smell – will be covered by two chapters, the first historical and the second contemporary. The historical discussions focus on the sensuality of religion in ancient Greece, Samaria, Rome and Byzantium — including reflections on their value for understanding other historical and contemporary contexts. Chapters with a contemporary focus engage with Chinese, African-Brazilian, Sikh, First Nations and Métis, and Spanish Catholic religious lives and activities. Beyond the rich case studies, each chapter offers perspectives and arguments about better ways of approaching lived, material and performative religion — or sensual religion. 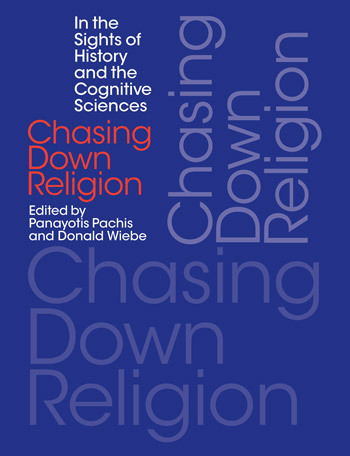 Historical and ethnographic critical and methodological expertise is presented in ways that will inspire and enable readers to apply, refine and improve on their practice of the study of religions. In particular, our intention is to foreground the senses and sensuality as a critical issue in understanding religion and to radically improve multi- and inter-disciplinary research and teaching about the lived realities of religious people in this sensual world. 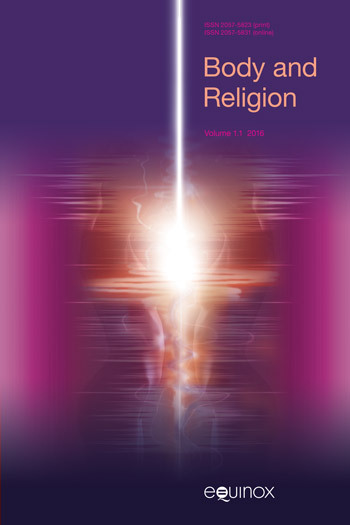 Introducing Sensual Religion, this chapter not only summarises themes and issues discussed in the main chapters, but also aims to provoke discussion of relationships between religion and senses, emphasising the doing of religion in bodily and sensual activities. It uses some origins narratives to demonstrate the importance of sensual data in religious narratives and acts. Anne Katrine de Hemmer Gudme is Professor with special responsibilities of Hebrew Bible Studies at the University of Copenhagen. Her research focuses on cult and ritual in the Hebrew Bible in its ancient Mediterranean contexts and she has published extensively on sacrifices and other gifts to the gods. Smell was an important factor in delineating sacred space in the ancient world and the sense of smell was crucial in meetings between the human and the divine (involving the “pleasing odour” of sacrifices and incense). This chapter traces the importance of smell, using the Yahweh temple on Mount Gerizim and the Hebrew Bible as case-studies. Shawn Arthur is an Assistant Professor in the Department of for the Study of Religions at Wake Forest University, Winston-Salem, NC. His first book, Early Daoist Dietary Practices: Examining Ways to Health and Longevity (Lexington Books 2013), focuses on a fifth century Daoist text that contains recipes for achieving immortality. His current research focuses on contemporary popular religion in China and how lay practices and ideas can contribute to our understandings of ‘religion’ from non-official perspectives. Burning incense and cooking foods often create the special atmosphere of Chinese religious sites and festivals. Indeed, the Chinese word for “worship” includes the order to light incense to the gods. This chapter analyzes how scents can heighten and shape people’s memories and emotions, as well fostering the “hot and lively” social aspects of China’s temples and religious festivals. Zena Kamash is Lecturer in Roman Archaeology in the Department of Classics at Royal Holloway University of London. She has wide-ranging interests that include food, religion and memory in the Roman world with a particular focus on Roman Britain and the Roman Middle East. She has curated an exhibition on food in the Roman world at Corinium Museum (Cirencester, UK). As well as providing an overview of taste and mainstream Roman religion through sacrifice and feasting, this chapter highlights some of the specific tastes, and possible menus, of Roman religion, drawing out how these differed from everyday life, and how these differed from god to god and from god to human. Patricia Rodrigues de Souza has been a Chef de cuisine and is currently a PhD student in religious studies at the Pontifical University of São Paulo, Brazil. She has taught Brazilian cookery and lectured on food studies. Patricia has observed religions, specially Brazilian Candomblé, through the lenses of food practices and has published a book in which she compares religions in terms of food practices: (“Religion at the table: a sample of religions and their food practices”). Every religion has its taste! In the African-Brazilian Candomblé (as in many other religions) foods are offered to the deities (orixás) following strict rules, and compose a language which connects humans and deities. This chapter discusses foods practices in Candomblé rituals, including those of the priestess/cook who prepares and presents the food. This chapter addresses the sense of sight through case studies drawn from Byzantine art, the art of Orthodox Christianity. Vision is central to Orthodox worship, facilitated by images known as icons. By enabling the visualization of the invisible divine, the importance of icons is paramount in enhancing the faithful’s religious experience. Opinderjit Kaur Takhar is Senior Lecturer and Course Leader in Religious Studies at the University of Wolverhampton. Her work on Punjabi Dalits and identity formation has been published in a number of books. She is undertaking further research into the current activities towards distinct identity amongst the Ravidassia community and the implications of the installation of Amritbani Guru Ravidass in replace of the Guru Granth Sahib in Ravidassia places of worship. Her publication Sikh Identity: An exploration of Groups among Sikhs (Ashgate 2005) is used as a key text in many university courses on Sikhism. Takhar’s research is on-going in terms of caste issues and gender dynamics and religious identity amongst Punjabis, and Sikhs specifically. This chapter focuses on the concept of darśan from a Sikh perspective by analysing teachings from the Guru Granth Sahib on the subject of ‘seeing’ the Divine. Sikhi (Sikh teachings) emphasises the Ultimate Divine as formless and experienced through the senses. Indeed, Sikhi refers to this experience as blissful union with one’s Beloved. Georgia Petridou is a Lecturer in Ancient Greek History at the University of Liverpool. She is the author of Divine Epiphany in Greek Literature and Culture (OUP 2015) and the co-editor of Homo Patiens: Approaches to the Patient in the Ancient World (with Chiara Thumiger, Brill 2016) and Beyond Priesthood. Religious Entrepreneurs and Innovators in the Imperial Era (with Richard Gordon and Jörg Rüpke, DeGruyter 2017). Her current research focuses on the intersections of ancient medicine and religion. The ancient initiatory “mysteries” of Eleusis, Greece, are famed for silence. Perhaps uniquely, there is silence about what happened at the key revelatory moment of the rituals. But we are told that the rituals involved phases of loud noise and of silence. This chapter advances current debates about the Eleusinian mysteries and its variegated Soundscape. Byron Dueck is Senior Lecturer in Ethnomusicology at the Open University. He is the author of Musical Intimacies and Indigenous Imaginaries: Aboriginal Music in Public Performance (Oxford University Press), and the co-editor, with Martin Clayton and Laura Leante, of Experience and Meaning in Musical Performance (Oxford University Press). How does music shape the experience of the sacred? This chapter looks at two genres of North American Indigenous singing – drum song performed at powwows, and gospel singing associated with funerary wakes – in exploring how music mediates sacred presences and process. What did ancient religion feel like? This chapter explores different elements of tactile experience in Greco-Roman sanctuaries, focusing on a group of ‘confession stelai’ from Roman Asia Minor. Themes explored include the transgressive touching of ancient sacred objects by mortals, and the punitive touching of mortal bodies by the Greco-Roman gods. At the shrine of the Virgin of Alcala in Spain, touch is the medium through which Catholic Christians perform their devotion and maintain traditions. In moments of touch, the personhood of the Virgin emerges, and material objects (perhaps ‘fetishes’) are offered not only to the Virgin but also to critical exploration.